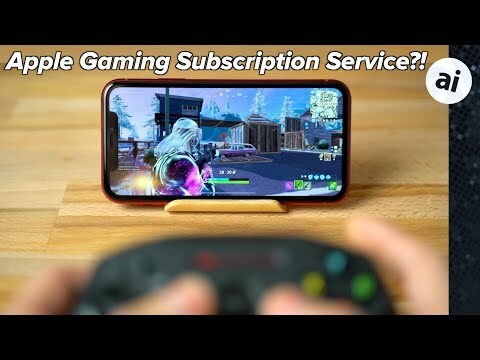 The suggestion that Apple could launch a subscription service for gaming is an interesting proposition, but is there much weight to the idea? AppleInsider examines ways the service could exist, and whether the rumors make sense at all. A recent rumor suggested that Apple is planning to create a Netflix-style gaming subscription service. In theory, users would basically pay a monthly fee to gain access to a selection of games, most likely made up of paid titles on iOS, instead of paying the equivalent in in-app purchases for free titles. Mobile gaming on the iPhone and iPad is already extremely profitable for developers producing popular titles, and even for Apple itself. Neil Campling of Mirabaud Securities noted that 82% of revenues from Apple's App Store come from gaming, making Apple one of the biggest gaming companies in the world, even though the company doesn't make any games itself. If Apple doesn't make any games, where does the revenue come from? 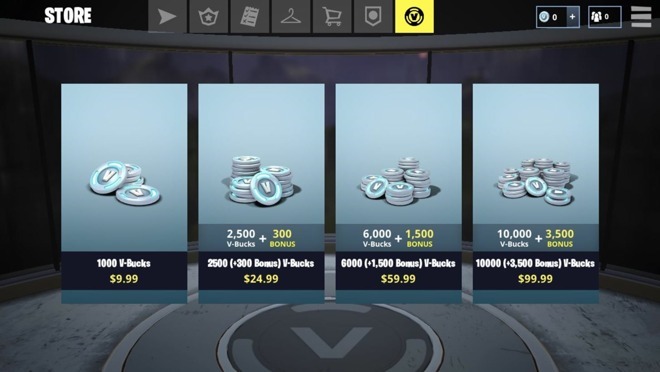 Apple takes a 30-percent cut from every digital product sold on the App store, which includes the sale of games as well as in-app purchases, like buying VBucks in the popular free-to-play game "Fortnite." 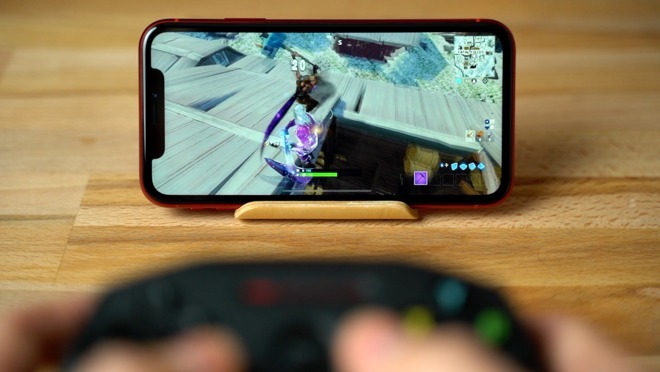 According to a report from Business Insider, Epic Games' "Fortnite" made over $455 million on just iOS devices in 2018, even though it's a free-to-play game. That revenue was made solely from in-app purchases, which ultimately means that Apple made around $136 million with its 30-percent cut. The earnings from "Fortnite" is just a hint of how much revenue Apple is making from all games that offer in-app purchases, especially free-to-play games. Seeing as though some of the most successful games in the App Store are free with in-app purchases, Apple needs a good reason to compete in a way where users are asked to pay regularly. There are relatively few ways that games are offered as a subscription today. First, there are the subscription services where you pay a monthly fee and you gain instant access to play a variety of games without having to purchase them. This includes the console-oriented Xbox One Pass and PlayStation Plus, as well as EA Access. None of these offer a mobile experience, as they all rely on games being installed on a console or desktop. In fact, there isn't even a mechanism to offer subscription-based access to a collection of games on iOS at the moment, which would logically require Apple to create it from whole cloth if it wanted to go down this route. On a per-game basis, there are some that rely on regular payments from users to provide a benefit. 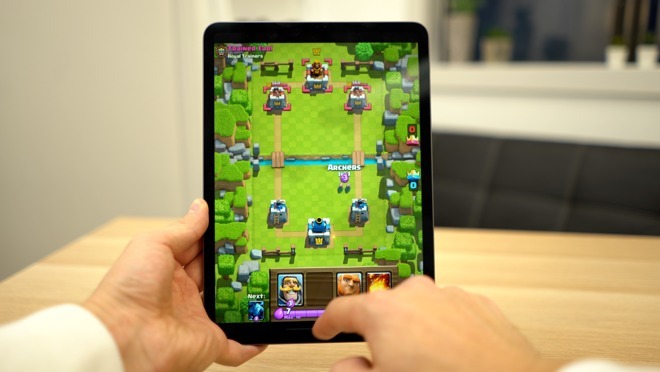 For mobile games, this could consist of game currency or extra items, while in some cases it could involve paying to play at all, such as with "World of Warcraft" and other major massively multiplayer online role-playing games. Then there are more expensive cloud gaming services that allow you to do the same thing as the "game collection" subscription, except without requiring you to own a powerful console. All you need is a strong internet connection and a supported device. Streaming services like Geforce Now are powered by powerful rendering servers in the cloud, which provides a video stream to your device over the Internet. 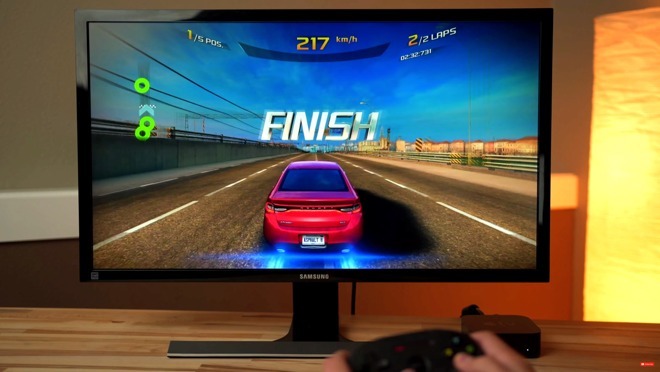 The input by the user is sent back to the rendering farm, allowing users to play high-end game titles with something as simple as a smart TV and a compatible controller. A couple of examples are PlayStation Now, GameFly and Nvidia GeForce Now, which we tried out for ourselves. 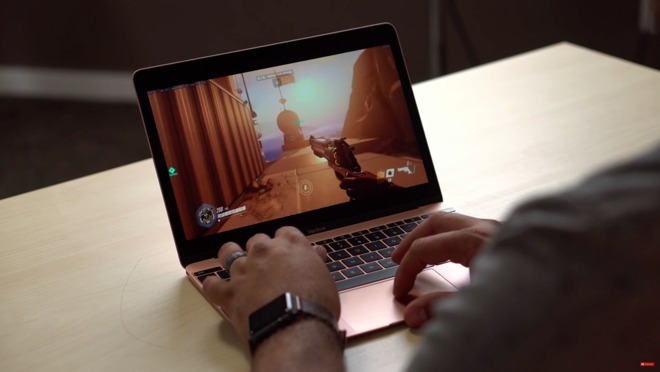 We were able to use the GeForce Now to play the popular title "Overwatch" at over 200 frames per second using nothing but a 12" Retina MacBook. We even connected it to an LG 5K display and used a mouse and keyboard for a desktop-like gaming experience. The big benefit is that, potential response time issues aside, it is possible to play a game with an extremely high graphical fidelity that lower-powered hardware simply cannot handle. Rather than upgrading the desktop, some users could get away with subscribing and enjoying the better picture quality at a lower cost, delaying paying for an upgrade for a while. The thing about Apple creating a gaming subscription service is that the hardware is already close enough to the level of a console in terms of quality. Apple's latest iPhones and iPad Pro are packing some of the most powerful mobile processors ever made. The A12 and A12X processors are topping the charts of benchmarks and performance tests left and right, breaking multiple benchmark records while offering very impressive battery life at the same time. There's obviously no need for a powerful server to render games, but even so they are still more than capable of handling cloud-rendered gaming clients. Apple's rumored gaming subscription service will most likely give subscribers access to a bunch of paid games on the App Store, but why would they need to do this if they're making so much revenue from "freemium" games, or free-to-play games that offer premium in-game purchases? The App Store is flooded with so many great freemium games, there's little reason to make a one-time purchase of a paid title that most likely required a lot more investment and development. It's a lot harder for a game developer to invest a lot more time and money to create a beautiful game that takes advantage of Apple's powerful processing performance, knowing full well the free-to-play titles are more likely to get the eyeballs of potential players. And there lies the issue: Apple's iPhone and iPad hardware is way ahead of almost all of the game titles on the App Store, but there's simply not enough incentive for a game developer or publisher to put extra money and time into a beautiful game that can really put Apple's hardware to the test. Going down the freemium route and making a mediocre-quality game that can easily rake in tons of cash without as much investment is just too tempting a prospect for many developers. A gaming subscription service would incentivize and encourage game developers to create more power-demanding games, which would shine a light on the iPhone's and iPad Pro's ability to really become a gaming console in its own right, a point Apple has been trying to make with its marketing for years. On top of that, if developers are given more of an incentive to make higher-quality games, this could also impact the Apple TV. Better games on iPhone and iPad could also be played on the set-top box, which could further prompt the creation of even higher quality games that look good on the bigger screen, and possibly increasing the Apple TV's market for gaming at the same time. Apple's rumored gaming subscription service could also incentivize free-to-play games by giving a certain amount of in-game currency every month, or offering discounts on purchases of said digital currency, but that's all up to Apple, assuming these rumors are even true. Apple already offers Apple Music as a monthly subscription, and has been tipped to create an all-in-one subscription covering Apple Music, News, and its original video content project. There's a chance that this rumored gaming service could be included in the aforementioned all-in-one subscription. It isn't just Apple that's supposedly exploring the idea, as rumors of a Google-equivalent gaming subscription service have recently sparked up as well. Specific code within the Google Play Store hinted at a new feature called "Play Pass," which as a name is likely to be linked to some sort of subscription service. A Google survey has also been spotted, asking participants if the word "Pass" sufficiently described a subscription that offers hundreds of dollars worth of paid apps and games for a monthly fee. If all of these rumors come to life, the way we buy and use apps and games on mobile devices could be changed forever. I'd rather they put some of that original TV money towards funding exclusive games that really take full advantage of their chips. I'm ehh on the subscription bundle, but would love, say, Apple TV 4K exclusives that really push the actively cooled A10X, or an update of that with A12X. I agree, even if they paid other studios for some decent exclusive games. The AppleTV has a powerful CPU and GPU, but nothing takes advantage of it. Apple's never been interested in gaming though, and I think they're almost embarrassed that their iOS devices are so associated with it. Current games are just blown-up mobile games, most of which are childish and nothing unique or interesting at all. Unlike proper games on my Mac, where I've actively made time to play them, I don't think there's been an AppleTV game that I've even thought about when away from the AppleTV - let alone something I've actively sought out to play. The lack of demos in the App Store don't help - and the games with in-app purchases which unlock the full game aren't proper demos. There are a couple of games I like the look of, but there's no way I'm paying £15+ for a game I might not like. The AppleTV App Store is a desolate wasteland, the same apps (and games) have been in the top 20 pretty much since it was released. Also, the controller is pretty terrible. It's pretty bad to access the UI, and nearing on terrible for anything but the most basic of games - which is all I really play on my AppleTV. It's turned into a Plex and Pacman box. I really want the AppleTV to be good, but right now, it really isn't. Maybe someone has the statistics (other than Apple), but I suspect almost all money is earned by two or three game developers. Honestly, I don’t think there are enough compelling games on the app store to warrant a subscription. Apple would need to purchase a gaming company (like Nintendo) to make it work. Nothing in the App Store is good enough for a subscription. They need games that take advantage of the latest hardware. I’ve spent a bit on mobile games, but only $3 on freemium content. The bottom line is freemium is a scam... pay to win is pointless and never ending money pit. The more content that will be placed under this subscription model, the less money goes to developers. Only the top few really make money on the current App Store and it’s because of the free-to-play model where the top dogs are able to put the majority of their revenues back into user acquisition. This subscription model can only work with original, high quality exclusive content not found outside the Apple ecosystem, alongside existing content, and even then so it will be a challenge to fairly compensate developers. But, an insurmountable barrier Apple faces in supporting gaming on their mobile devices is, well, they are mobile devices -- with, out of necessity, relatively tiny screens. I wonder how feasible it would be to open up the MacPro or iMac/iMacPro for gaming? 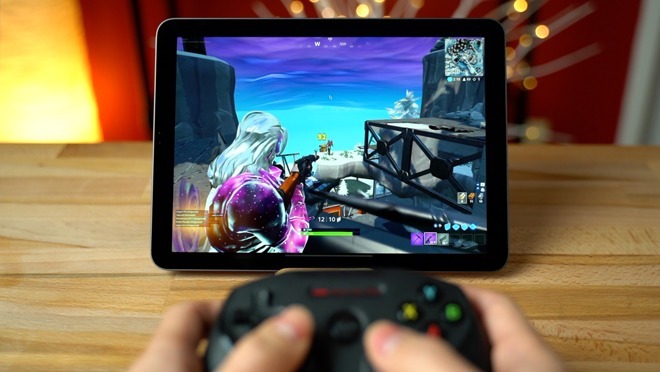 I am thinking of my grandson who, when he tried his Nimbus controller playing Fortnite on his Gen6 iPad, his response was: "It's fine -- but hard to see" -- right before he went back to his X-Box with its connected 4K TV. It wasn't the X-Box he wanted so much as the 48" screen. When he was younger he was an avid gamer on his iPad and iPod Touch. But, as he got older both he and his friends all migrated to X-Box live -- where they not only get the big-screen game but social interaction with each other as they play. I play a couple of games but don't spend any money on in-app purchases. If Apple is able to hit the sweet spot where the subscription amount works out cheaper than going to in-app purchases, I think I'd try it out. Offering play on one-time payment games as part of a subscription is not that difficult. 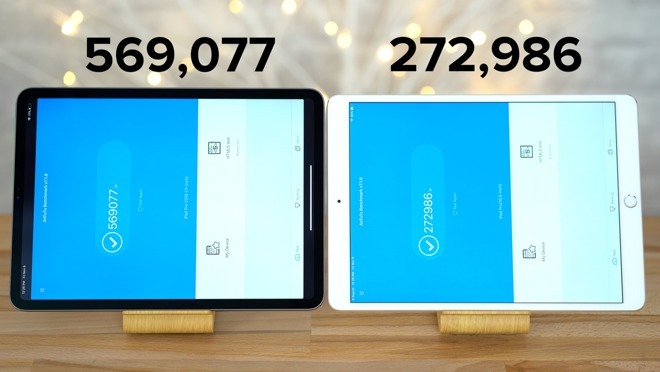 It's how Apple tackles the in-app purchases that is far more interesting. I avoid all software or services subscriptions whenever possible especially for Word. Paying a subscription for this is utterly stupid (at least for my needs). Definitely will not be buying into a game subscription, Apple or otherwise. its a horrible model. Its really hard to download a game you can just play through. It works though, I suppose. I don’t even bother to check out games on the App Store anymore. It seems that 99% of them are freemium anyway, where you pay for those in-app purchases. I tried going that route but the costs just built up too much. Which is great for developers but not my bank account! I miss the days when you could purchase a quality game outright on the App Store, there used to be some great ones! Also as mentioned in this article, this freemium dross doesn’t take full advantage of the latest iPhone and iPads graphics capabilities either. Which is why I keep asking for Apple to take gaming serious for Apple TV. Even Epic skipped the failure that is Apple TV. What every gamer knows and Apple does not: iOS and MacOS are TERRIBLE platforms for games. Few AAA titles get ported and those that do perform worse and have worse graphics/resolution/frame rates than those on PC or game consoles. The biggest reason why this is the case is that Apple has done everything in its power to prevent cross platform software development. On the Mac there is no OpenGL, no CUDA, no NVIDIA. On iOS there are numerous developer restrictions against using on device code compilers, interpreters and development kits. I have never made an in game purchase and I never will. If I want a game, I’ll pay for it but as soon as a game tries to trick me into buying something, it gets deleted. Subscriptions may be the future but they aren’t my future.